Focused on empowering communities to make data-driven decisions, Angela Baldasare has trained more than 50 community coalitions on community assessment, logic models, strategic planning, data collection and analysis, outcomes evaluation, and culturally relevant adaptation of evidence-based practices. In her previous position as the director of a large research and evaluation unit in Tucson, Arizona. Angela oversaw the evaluation of more than 120 programs in health and human services and her collaboration on grant writing efforts over the past five years has resulted in awards worth $11+ million for state governments and community based organizations. With particular expertise in substance abuse prevention, treatment, and enforcement, Angela served as the lead evaluator on statewide and tribal initiatives for the Arizona Governor’s Office of Children, Youth, and Families – Division for Substance Abuse Policy, including Access to Recovery, the Strategic Prevention Framework State Incentive Grant, the Arizona Underage Drinking Initiative, and the Arizona Anti-Methamphetamine Initiative. She was also the lead evaluator for the Arizona Governor’s Office of Highway safety on a statewide media campaign and a national demonstration project through the National Highway Safety Transportation Administration (NHTSA) to reduce impaired driving in the Hispanic population. Angela served as the lead consultant in restructuring the substance abuse prevention system for the largest Regional Behavioral Health Authority in Arizona and designed the cross-site evaluation encompassing more than 20 agencies. In 2004, she spearheaded the development of a coordinated county-wide response to children exposed to domestic violence and co-founded Arizona’s first conference on the subject. She has served on the Governor’s Office of Highway Safety (GOHS) DUI Planning Council, the Subcommittee for Data Collection on Crime Victims under Governor Napolitano’s Commission to Prevent Violence Against Women, the Arizona Department of Economic Security Community Network Team on Domestic Violence, and she currently serves on Pima County’s Task Force to Reduce Underage Drinking. Prior to working in the public health sector, Angela was an Assistant Professor of Sociology at the University of Dayton. 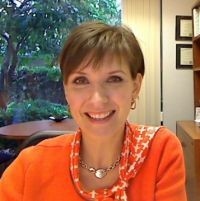 She earned her Ph.D. in sociology from the University of Arizona, where she currently manages the Department of Assessment and Research for the Division of Student Affairs.